This board is designed to make play easy for those with limited vision or trouble grasping and moving pegs. 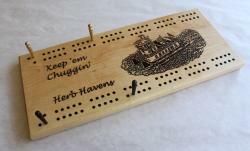 Each hole is 3/16" in diameter, and the board comes with six giant 2" long metal pegs. They live in a pocket in the back of the board, secured by a sliding brass plate. This way, you'll never forget where you put your pegs! 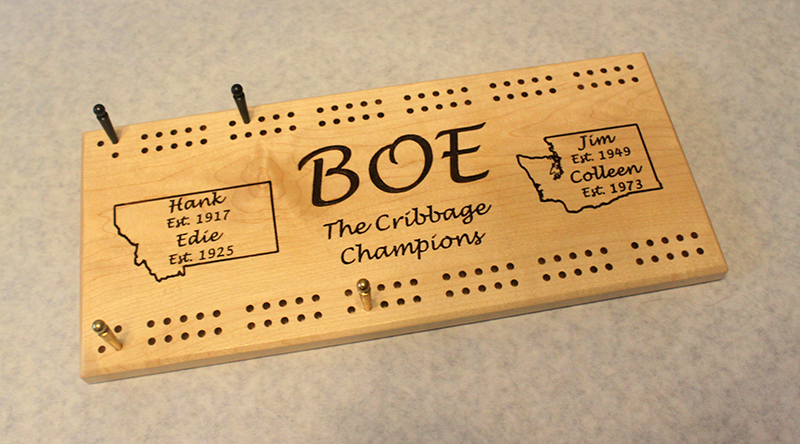 The board is 16" long, 7 inches wide and 3/4" thick and include engraving in the center.